You know there is a tons of snake based villains in Marvel Comics. Some one at Marvel must have thought it would a good idea if they all team up. The first team appeared in Captain America #310 by Mark Gruenwald and Paul Neary. Gruenwald has admitted that The Serpent Society was based around trade unions of American Culture. The Society was originally a off shoot of the Serpent Squad, to which many of their members came from. Sidewinder purposed that they team up together with benefits like new tech and gizmo, money and a promise that they wouldn’t be alone and the wouldn’t be sent to prison. Like I said Sidewinder abandoned the Squad and persuaded he former snake base member to join him, Anaconda, Black Mamba and Death Adder. He then asked Asp, Diamondback, Cobra (later King Cobra), Princess Python, Rattler, Cottonmouth and Bushmaster to join. He also asked Viper (formerly Madame Hydra) and Constrictor, but she never went to the first meeting and he left since he didn’t approve of the idea (more on that later). They set themselves up in an abandoned mental hospital, which they named Serpent Cathedral. They then started renting out their services to various organisation and often classing with Captain America. However, Python abandoned a mission and was expelled and Adder was killed but Scourge of the Underworld. Viper later led a coup against Sidewinder using a team of Copperhead, Black Racer, Fer-de-Lance and Puff Adder as infiltrators and Coachwhip, Boomslang, Slither and Rock Python to assault the society, which lead many members to turncoat to Viper, however Asp, Mamba, Bushmaster and Diamondback remained loyal to Sidewinder. Under her leadership, in a attempt to turn people into snake people, they were capture by Cap and his allies, while does who were loyal to Sidewinder were rescued. Because of the betrayal, Sidewinder left and Cobra became the leader taking the name King Cobra, where all but Slither and Viper remained. When Diamondback became romantically involved with Cap, she tried to leave the Society but was put on trial and sentence to death. She was rescued by Sidewinder, with the help of Asp and Mamba. With the help of Cap, most of the Society were arrest except Diamondback, Asp and Mamba with Anaconda, Puff Adder and Rock Python escaping capture due to them not being there at the time but Adder and Rock Python were eventually imprisoned. Bloomslang was in hospital at the time while Anaconda, Diamondback, Asp and Mamba joined the Femizons, with the last 3 forming BAD Girls Inc. later. The Society reformed later fighting Cap and Force works but after were said to have disbanded. 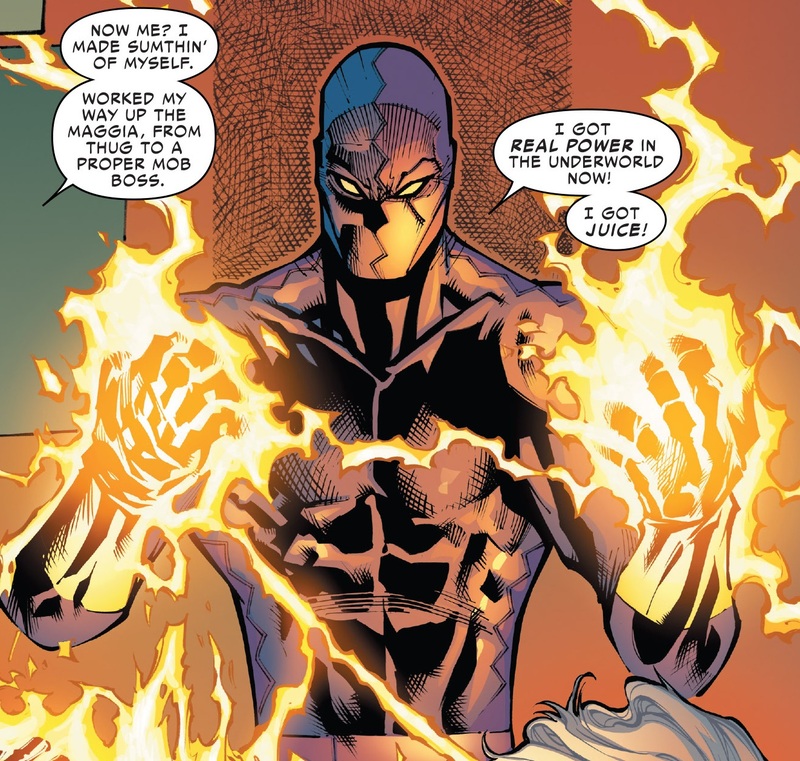 The reformed again during the Avengers Dissemble saga and aided the Thunderbolts during the Civil War. Some of the members registered with the government as heroes. They were later seen taking hostages during the Secret Invasion, believing they were Skrulls. After a few more encounters with some other heroes, The original Viper (male) reformed the Society as the Serpent Solution and battle Sam Wilson’s Cap. During the Secret Empire, they escaped prison and most of the members rejoined. Before we get onto the members lets talk about the elephant……. I mean snake in the room. Okay, I thought I start off with someone people are going to call me out for. Yes, Constrictor was never a member of the Society in the comics. Never. He was invited to joined several times but always refused, which led to the male Viper having him beaten into an inch of his life and getting his girlfriend, Diamondback, to rejoin the team. However, he has appeared as a member of the Society in various media like the Avengers: Earth Mightiest Heroes cartoon. Despite this most collector still keep him in there Serpent Society display, like myself. Well, he is a snake after all. Now onto some real members. 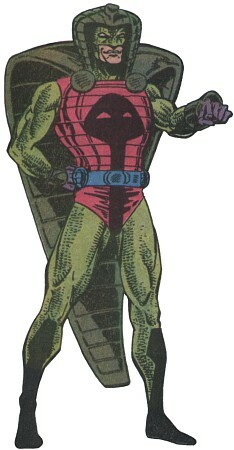 One of the founding members and later leader of the Society, Cobra was initially a major antagonist to Thor, usually partnering up with Mr. Hyde. He is most remembered for his role for leading the Society after Sidewinders retired and was the leader during the trial of Diamondback. No. Not the one the Netflix Luke Cage’s villain is based on. This is a different character. He is a little known villain who actually first appear as a member of the Society. He has a bionic jaw that allows in to stretch his mouth like a snake and bite or each his opponents as a well has strong stretching hands. He is mostly seen as a sidekick to the Society. 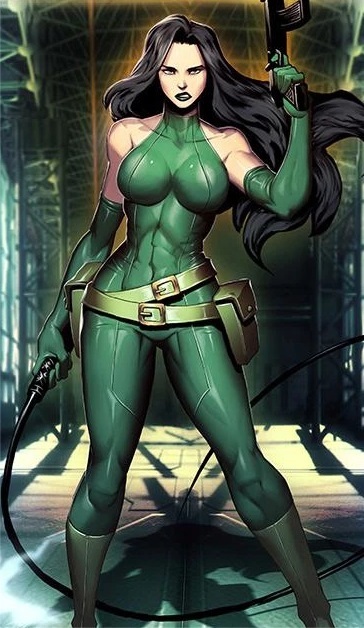 The former Madame Hydra was a member of the same Serpent Squad as Sidewinder when he abandoned the team during a mission. She was invited to join the first Society meeting but refused to attend. She later led a coup against Sidewinder and was made the leader of the squad. This eventually lead to one of the first major defeated of the Squad when she tried to turn humans into Snakemen using their drinking supply. 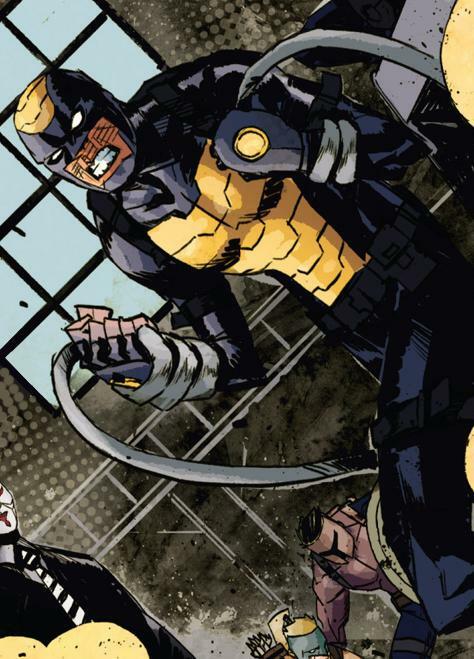 This brought upon Cap and his team onto the Society which lead to many of the team’s arrest. This is second person to take on the identity of Eel. While the first guy focus more on the slipperiness of a Eel, Edward Lavell used the electric aspect of a electric eel instead. This guy holds the honour of being the only member in the Society (and later solutions) not base on an actual snake. (Eels are actually fish that looks like snakes). I’m going to do something different with these one compared the Avengers. Because the chances of use getting most of this is low, instead of going through each of them and given why I think they will or mightn’t (note how I said mightn’t come) and what wave and build would work, I will just be given the rating (Low chance to Extremely high, no “No Chances” cause nothing is impossible with Hasbro) and maybe a quick note, similar to how I do it in the Characters blogs. As always, please note that these are my personal opinions and not fact. Hasbro has surprised us dozen of times, just look at the Cottonmouth. Click on the pics to find out the chances. Low Chance (repaint of cobra?